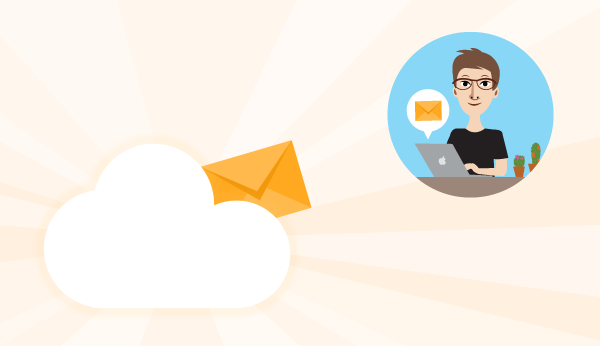 We’ve been pleasantly surprised at how many emails you link, and store into Daylite. It shows that businesses are growing and trust Daylite to help them win more business and get more done. It poses a challenge though: the size of the database stored on Apple device keeps growing. As your database gets bigger and bigger, the amount of storage you need on your devices and the amount of time that it takes to get an offline copy increases. As we prepare to ship mail assistant for iPhone & iPad, we have a strong feeling that the rate of database growth will only increase. To address this challenge, we are introducing a new mechanism, called Email on Demand, which gets email contents on an as-needed basis without compromising the links you’ve established. After all, you linked these emails to opportunities, projects, and companies for a reason. Significantly less storage space required for Daylite on your macOS and iOS devices. Significantly shorter time to create offline databases for large databases. Faster syncing so you’re up-to-date sooner. Less Internet bandwidth used when logging in and syncing. We plan on rolling out Email on Demand gradually to all customers, with the account owner being notified. With Email on Demand, you’ll have more storage while still having access to what you need to win more business and get more done. Have questions about Email on Demand? Check out our FAQ or Contact us, and we’ll be glad to help!